Butting is one of the leading processors of stainless steel. Its services include: corrosion resistant pipes; clad pipes; special pipes and machined pipes; components and pipes ready for installation; vessels, tanks and columns; fittings. Core competences are in forming and welding techniques and in materials engineering. Butting supplies special pipes to the oil and gas industry, ie for onshore and offshore as well as subsea projects with expertise in welding, forming and materials technology. The company produces flowlines, riser pipes and others for topsides (platform FPSO) as well as line pipes. 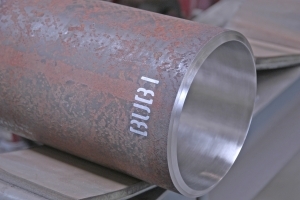 Ever since the mid-eighties Butting has been producing metallurgically clad pipes for companies all over the world, especially in the oil and gas industry. As regards the size range, it produce ODs from 114.3 mm (4-in) up to 1 219 mm (48-in) in various material combinations. Pipes can be supplied with either an external or internal cladding. The BuBi-pipe consists of a corrosion-resisting Butting pipe which is telescopically aligned inside a pipe in carbon-manganese material. The tight bonding between the two pipes is achieved by hydraulic expansion. The producible size range comprises pipes in ODs from 114.3 mm (4-in) up to 660mm (26-in) and lengths up to 12m without circumferential weld. Compared with the metallurgically clad pipe, its BuBi-pipe offers a wide range of material combinations for both the inner and outer pipes. Butting’s quality management system is certified according to DIN EN ISO 9001 by Germanischer Lloyd, and there are also many other authorisations.